The fun begins early for the 28th annual HarborFest Dock Day on Sunday, June 3. 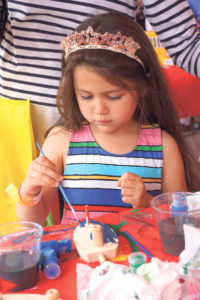 At 10 a.m., the Parent Resource Center will open the Family Fun Park on the Town Dock, sponsored by Newsday. There will be activities and entertainment all day, plus more fun at the Model Boat Regatta in Baxter’s Pond and children’s workshops at Art in the Park in Sunset Park. The Parent Resource Center will have a train ride and exciting games, crafts and activities in the Fun Tent, all sponsored by Babyganics and Whole Foods Market Manhasset. The Police Activity League will set up a dunk tank and the Science Museum of Long Island will offer hands-on fun with a touch tank. 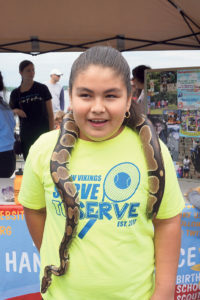 In addition, a dozen other local organizations and businesses will have activities, science fun, sports, gymnastics and crafts to keep kids entertained all day long. The Fun Park will also feature free family entertainment all day on the Family Fun Stage. To start the day, Girl Scouts Brownie Troop 451 will lead the audience in the Pledge of Allegiance at 10:15 a.m. The children’s entertainment will kick off at 10:20 a.m. with Juliana Urcan-Delgado singing The Star-Spangled Banner. The “Talented Kids of Port Washington” show will begin at 10:25 a.m. Shining Studios will perform at 12:10 p.m.
Danceworks New York will give a performance at 12:30 p.m. Students from Bach to Rock will entertain at 1 p.m. Voice Academy will take the stage at 1:30 PM. Dance Arts Centre will perform at 2 p.m., followed by P.I.T. Joy taking the stage at 2:30 p.m. Olga Berest Dance Studio will perform at 3, and at 4 p.m. the iSchool of Music will take over. The Family Fun Stage is sponsored by Center Island Contracting, Dental365, Diane’s Place Hair Salon, Healthy Kids Pediatrics and Long Island Boat Rentals. The unique HarborFest Treasure Hunt, organized by Daniel Gale Sotheby’s International Realty and sponsored by Daniel Gale, Dime Community Bank, Power Home Remodeling and Sandata Technologies, will be back with fabulous prizes from local merchants and special gifts for all. Children can go to participating businesses from May 19 to June 2 and say the secret message, “One if by land, two if by sea, I’ll say ‘please’ for a chance for the key,” to get a voucher for a chance to find the lucky key to the Treasure Chest. They can bring their vouchers to the Treasure Hunt booth on the dock anytime from 11 a.m. to 3 p.m. during Dock Day. One of the most exciting things for kids of all ages will be the demonstration of the Port Washington Fire Department’s new Fire Boat. It will be moored in Manhasset Bay, off the Town Dock, for the demonstrations. For a taste of nostalgia, the whole family can catch a free ride on the North Fork Trolley, sponsored by the Greater Port Washington BID. The Trolley will serve as one of the shuttles to take people between the train station and the Town Dock. 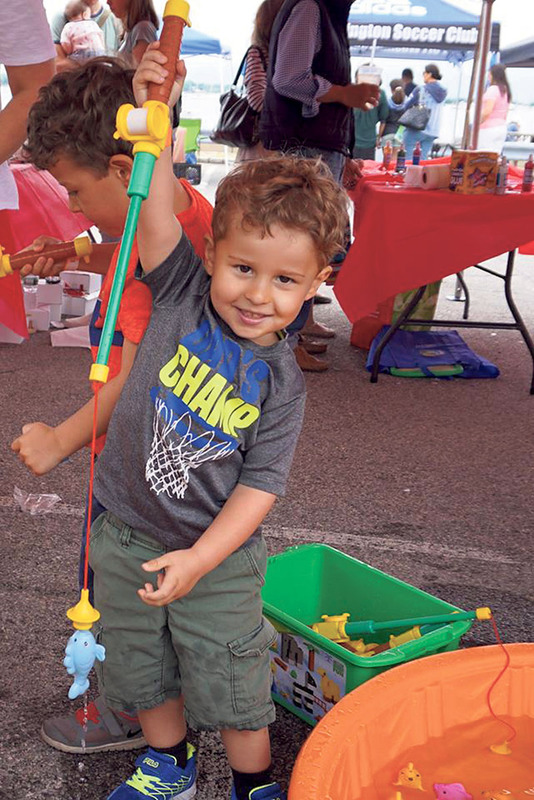 The HarborFest Model Boat Regatta program will have Chamber of Commerce volunteers teaching third graders from all Port Washington elementary schools how to make pontoon-style boats from recycled materials. Registration for participants will take place at Baxter’s Pond at 9:15 a.m. for Sousa and Daly, at 9:45 a.m. for Guggenheim and Manorhaven and at 10:15 a.m. for Salem and St. Peter’s. The Regatta races will take place from 10 a.m. to 12:30 p.m. Marian Weissman organized the classroom sessions, Mary Lu Dempsey Palafox put the boat kits together, Bill Palafox is organizing all aspects of the event, and Laura Silver McGuire will be organizing crowd control and assisting volunteer recruitment. Other key team members are Alan Bergman, Holly Byrne, Dave Franklin, Ronnie Heller, Fred Hsu, Tom Scalice, Paul Schrynemakers and Joel Ziev. 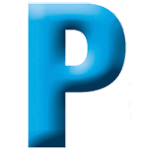 The Regatta’s T-shirt sponsor is the Port Washington Public Library Foundation–Tepper Intergenerational Program. Regatta Benefactors are the Baxter’s Pond Foundation and the Nautical Advisory Council of the Port Washington Public Library. Major sponsors are Atlantic Outfitters, Center Island Contracting, Knights of Columbus Council 1227, the Manhasset Bay Sportsmens Club, Manhasset Bay Yacht Club, Port Sailing School, North Shore Yacht Club, Port Washington Dental and Port Washington Yacht Club. Additional financial support is received from many Chamber of Commerce members. 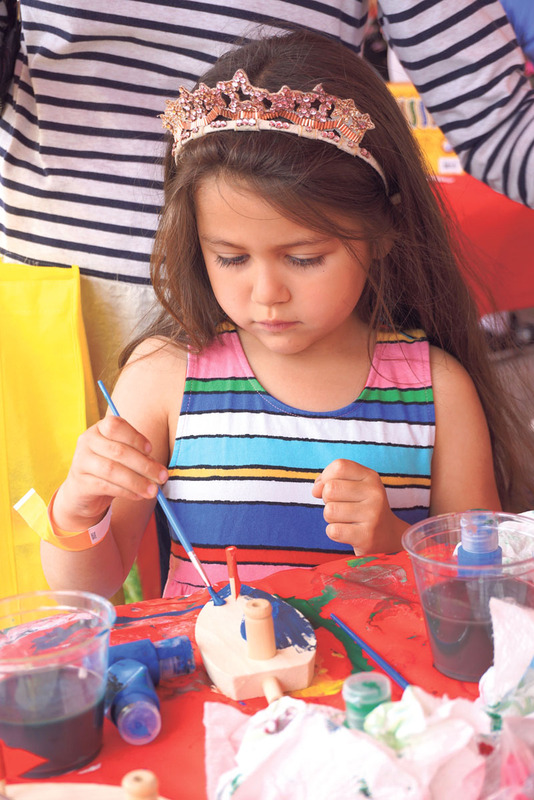 For budding artists, Art In The Park will have a special free workshop for children called “Fun With Clay” beginning at 12 p.m. They will also have button making available all day. Art In The Park is organized by The Art Guild and sponsored by The Art Guild and the Kiwanis Club of Manhasset/Port Washington. Kids and their families can go for a sail or take a cruise around beautiful Manhasset Bay. Port Washington’s Water Taxi is offering scenic cruises around Manhasset Bay throughout HarborFest. Children ages five and older and their families can board the schooner SoundWaters for a sail around the bay and back in time. 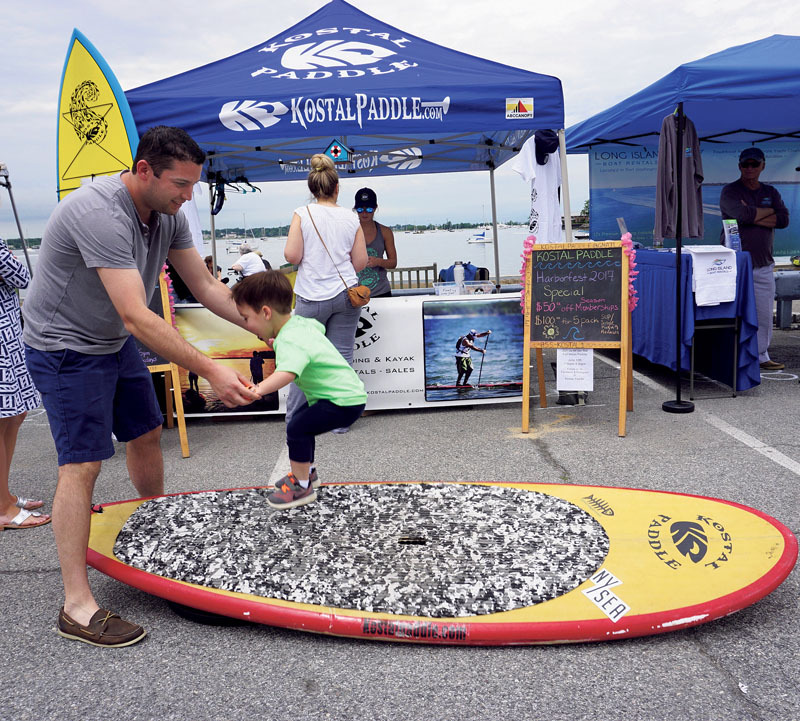 Sails leave at 12 p.m., 2 p.m. and 4 p.m.
Grassroots Environmental Education has organized a timely environmental education project called “Be A Friend To A Tree” for HarborFest. There will be many learning opportunities for multiple age levels and they hope to distribute small tree seedlings that people can take home and tend. Look for their green exhibit in the Enviro-Expo section. The Environmental Education program is sponsored by Orangetheory Fitness Port Washington and Sherwin Williams. Families can browse the craft and merchant booths and satisfy their hunger at the Fabulous Food Court. HarborFest offers tons of fun for everyone, so come to the Town Dock on Sunday, June 3 and plan to spend the whole day. For more information about HarborFest, call the Port Washington Chamber of Commerce at 516-883-6566, email office@pwcoc.org or visit www.pwcoc.org/harborfest.shtml.